The Samford University Event Calendar offers a central listing of significant university events that are open to the Samford community or the public. Samford employees may access a comprehensive event schedule in SPACES. OrgSync provides a similar solution for students. The registrar’s office maintains the official academic calendar. 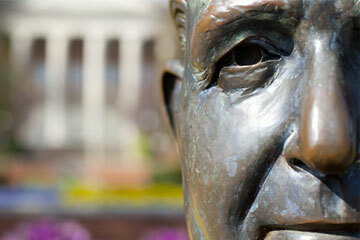 Academic units, advancement, athletics and Samford Arts maintain audience specific calendars. April 19, 12:30 p.m. – 12:45 p.m.
Join Samford's School of the Arts A Cappella Choir for a Good Friday special service at noon. April 25, 3 p.m. – 4 p.m.
Samford's Philosophy Department and Phi Sigma Tau philosophy club present a lecture by philosophy professor Keith Putt. April 25, 7:30 p.m. – 9:30 p.m.
April 26, 7:30 p.m. – 9:30 p.m.
April 27, 7:30 p.m. – 9:30 p.m.
April 28, 2:30 p.m. – 4:30 p.m.
April 26, 11 a.m. – 1 p.m. The annual business plan competition supported by Regions Bank features students presenting their plans for a chance to win a cash prize to start their business. April 30, 5:30 p.m. – 8 p.m. This event recognizes accounting students and alumni of Beta Alpha Psi. May 3, 9 a.m. – 11 a.m.
Samford University will honor the graduates of the master’s and doctoral programs in Samford University’s School of Health Professions, Ida Moffett School of Nursing, McWhorter School of Pharmacy and School of Public Health. May 10, 9:30 a.m. – 10:30 a.m.
Graduating seniors will be honored with awards prior to the 2019 commencement ceremony. May 10, 11:30 a.m. – 1 p.m.
Samford University will honor the Brock School of Business graduates at the 2019 spring ceremony. May 10, 3:30 p.m. – 5:30 p.m.
Samford University will honor the graduates of baccalaureate programs in Samford University’s School of Health Professions, Ida Moffett School of Nursing, McWhorter School of Pharmacy and School of Public Health. May 10, 6:30 p.m. – 8 p.m.
Samford University will honor Cumberland School of Law graduates at the 2019 spring ceremony. 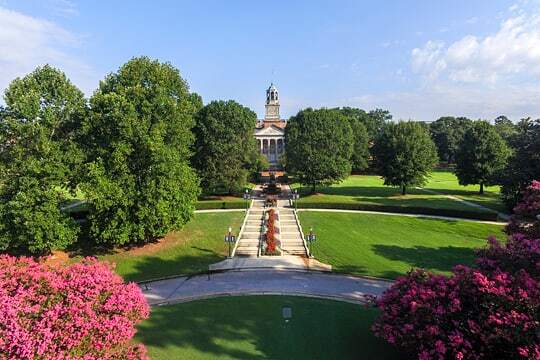 May 11, 10 a.m. – 11:30 a.m.
Samford University's Howard College of Arts and Sciences presents the Class of 2019, with undergraduate and graduate degrees in more than 40 academic majors and concentrations. May 11, 2 p.m. – 3:30 p.m.
Samford School of the Arts will share commencement with Orlean Beeson School of Education. Orlean Beeson School of Education will share commencement with School of the Arts. Beeson Divinity School hosts an annual conference on Anglicanism in September. This year's conference will explore the Jewish roots of Christianity. The conference will feature short papers, panel discussions with opportunity for audience participation, and time for fellowship. September 27, 7 p.m. – 9 p.m.
Join us as we honor distinguished alumni from Ida Moffett School of Nursing and Birmingham Baptist Hospital. During this annual event, Samford families come together to enjoy campus and build community with other Samford families.